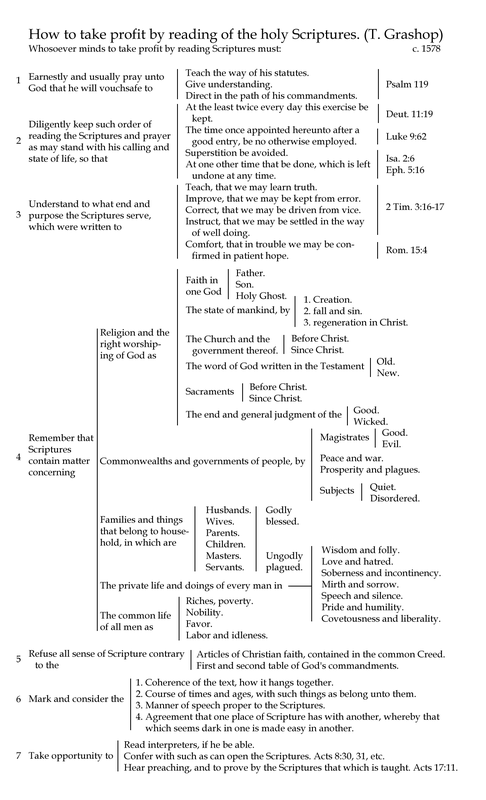 Many printings of the Geneva Bible after 1579 contain the following flowchart by T. Grashop. 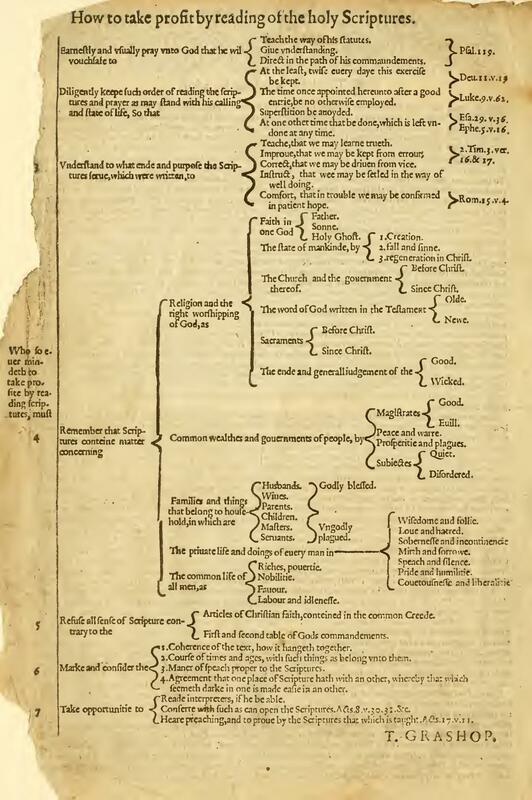 This flowchart reflects the Renaissance obsession with ordering the world using tree diagrams and presents a systematic approach to studying the Bible. I share it here to show that “mind-mapping” Bible study isn’t a new idea; it has extensive historical roots. Below is a reproduction I created with modernized spelling and design. 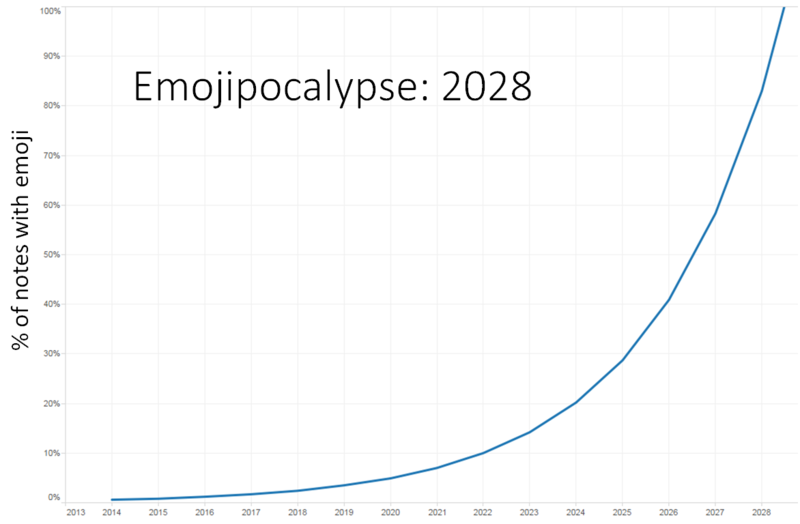 I particularly want to note the reference to Isaiah 29:36 in this chart. This verse doesn’t exist. If anyone knows what verse Grashop might have meant, especially as it relates to “Superstition be avoided” when studying the Bible, I’d be interested in correcting this 400-year-old typo. Sean Boisen in the comments presents a plausible case that it should be Isaiah 2:6. Also available in PDF: 8.5×11 inches or 8.5×14 inches (full size). I consider all these Grashop-related files to be in the public domain; if you want to reuse them, you don’t need to credit anyone. You are currently browsing the OpenBible.info Blog blog archives for May, 2015.